Big John and Larry H. were processing lights this morning and had help from Marv and Alan with processing cords and more lights. Dr. Gredler was in for painting and Gene continued sanding one of our benches in need of that attention. 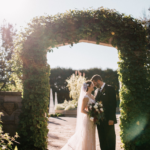 Ron P. continued repairing lights and Maury ran errands for us. Our carpenters (Dave, Jim and Vern) had plenty of work to accomplish and Janice came in to help with some volunteer activities. We also saw Gary S. and many others today. 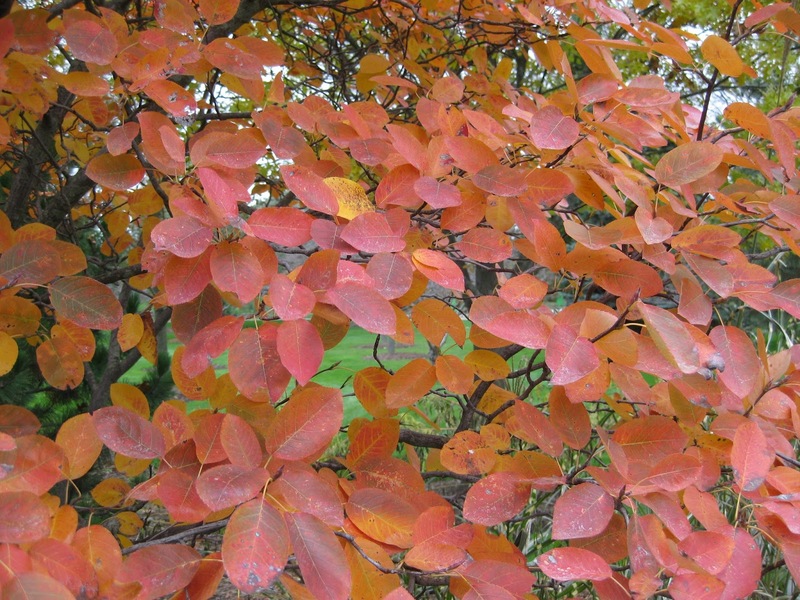 I’m convinced I haven’t blogged about serviceberries (Amelanchier sp.) in the past which is a shame as they are excellent in the garden. 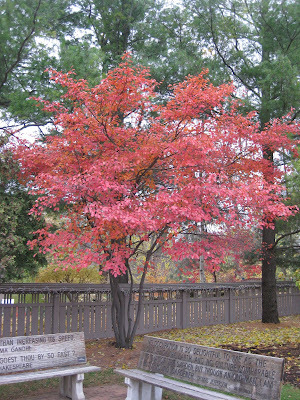 I consider them very impactful in both spring (with white flowers) and fall (with consistently excellent fall color). 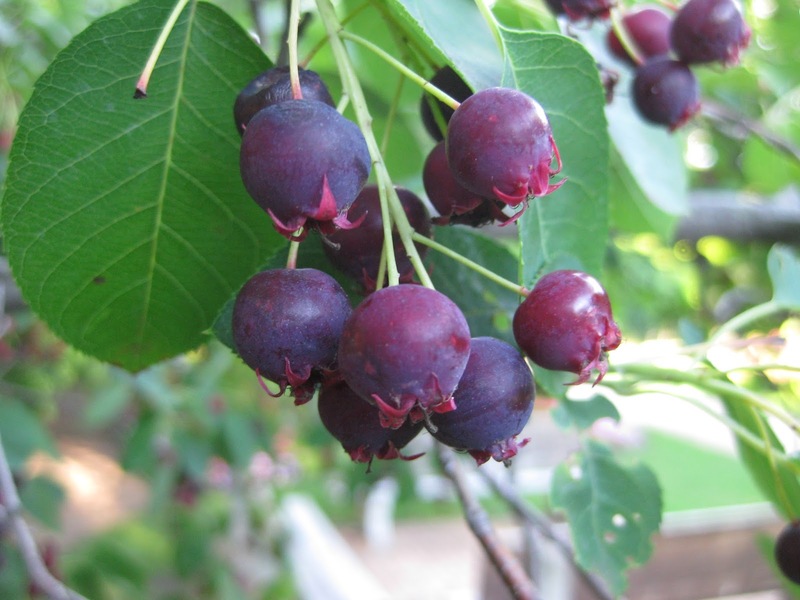 They also have excellent wildlife value with the summer fruits being devoured by a wide range of critters. 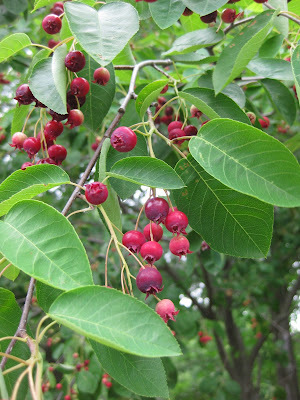 Also called shadbush, shadblow, Juneberry, Saskatoon and other common names, serviceberries are in the Rosaceae family with 20 native species across much of North America. 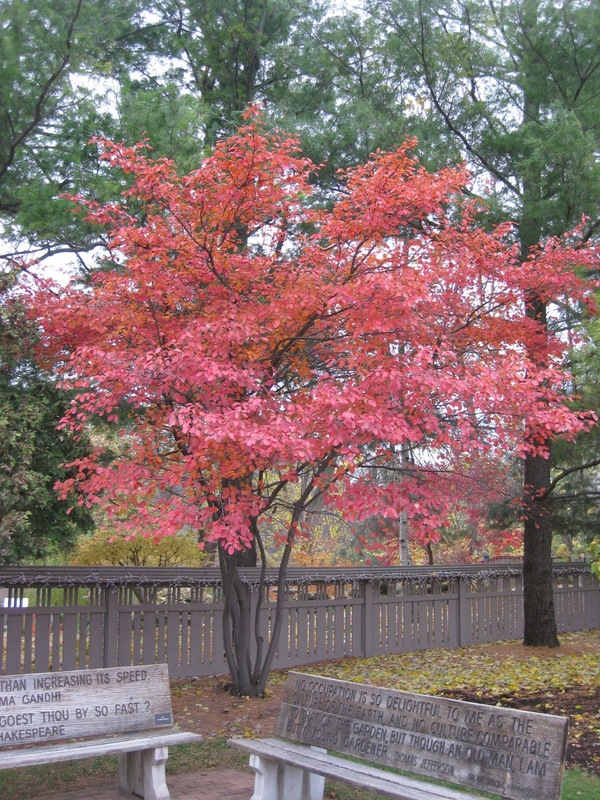 They cross readily so there are some hybrids that are quite exceptional with many of these “crosses” also occurring naturally. 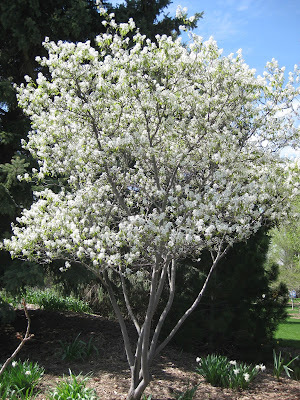 While serviceberries range in height from 6′ to well over 30′ tall in our climate, they mostly exhibit similar characteristics with grey bark, white spring flowers and excellent fall color. 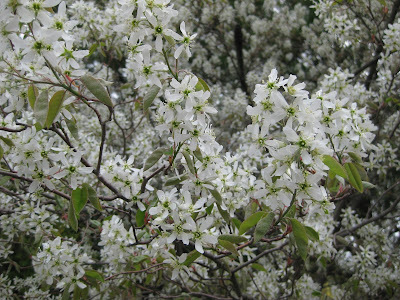 They are a nice small tree selection although some species fall in to the “large shrub” category. Serviceberries prefer moist but well drained soils and benefit from supplemental irrigation during a summer drought. Air circulation helps with some of the foliar diseases that might appear and the best looking specimens are those that are in conditions that mimic their native haunts (soils, pH, moisture, etc.). 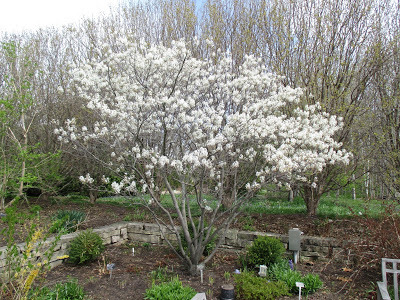 I have seen struggling serviceberries but usually that is a result of poor siting. 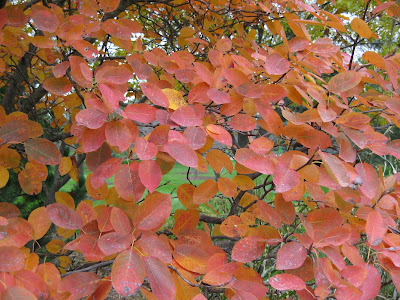 Directly above is Amelanchier lamarckii which also has a great fall color. 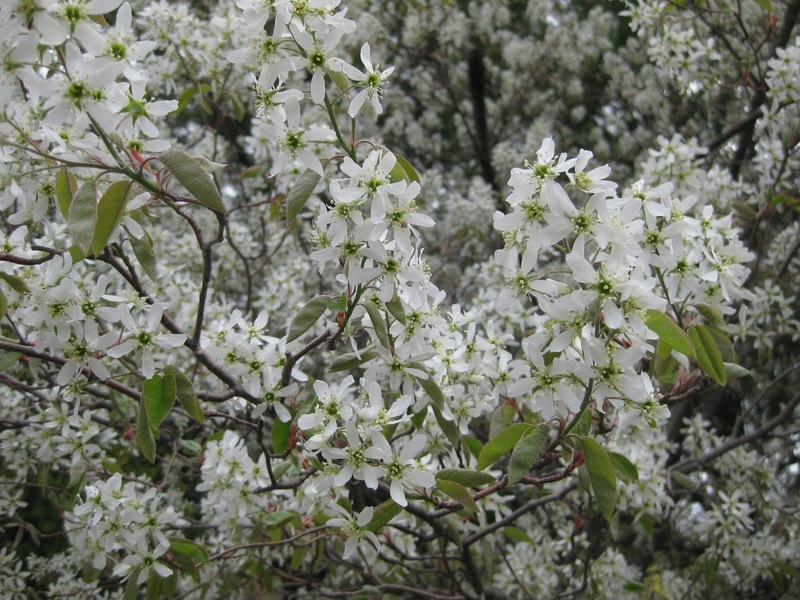 At the top and directly below is Amelanchier x grandiflora ‘Cole’s Select’ which is one of the best small tree forms. 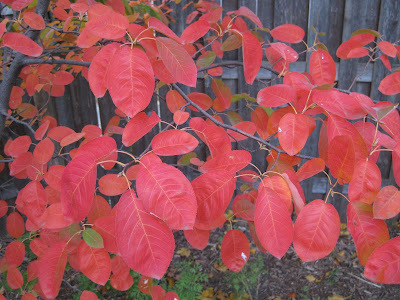 Photos further below help extol the merits of serviceberries in our garden settings. 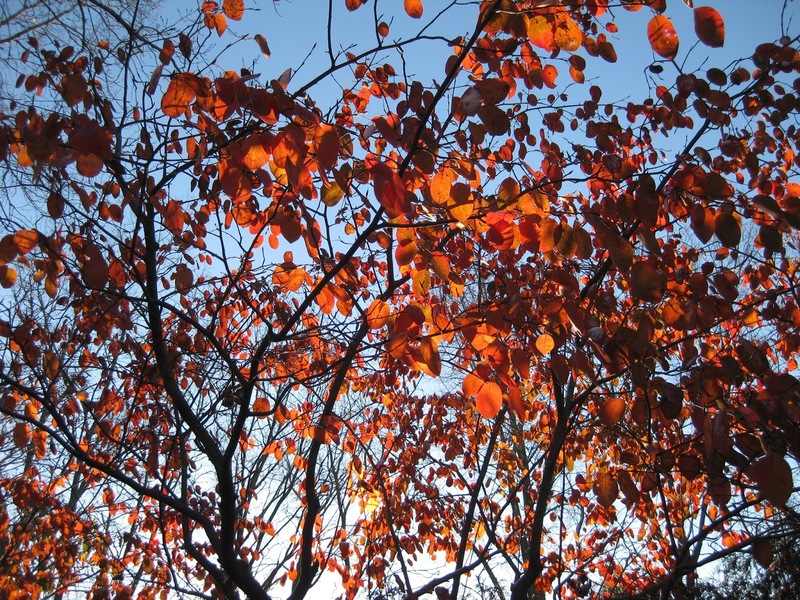 The fruits will ripen to a deep purple and become sweeter with time. Local birds will clean these off pretty quickly though so don’t delay if you want to nibble on some! The fruits rarely hit the ground as they are that coveted! 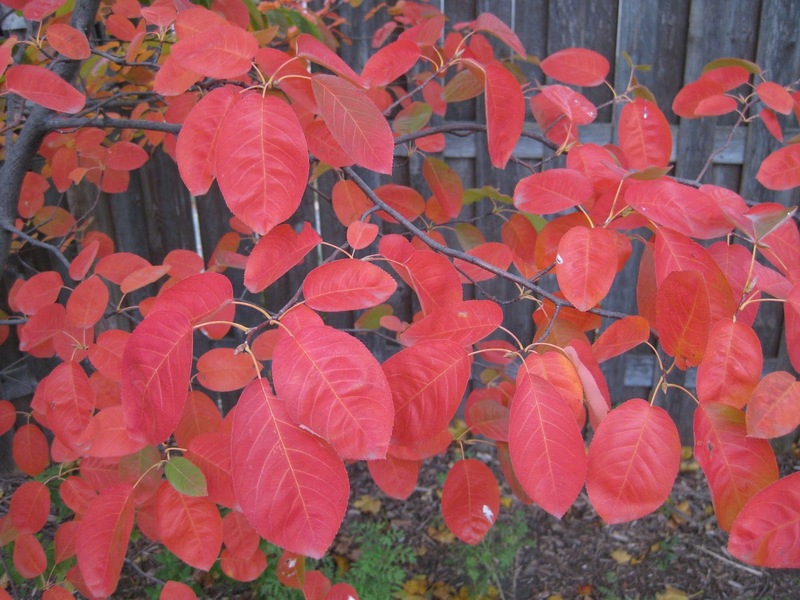 Some nice fall color shots of various Amelanchier selections can be seen at the bottom.